With the end of 2014 right around the corner, we thought it might be fun to post some of our favourite reads of the year. One thing you’ll notice from the list: fiction is important! No one can read too much fiction. As a lot of these write ups clearly imply, fiction can have very important theological implications. But still, a few of us found non-fiction the most interesting this year, not necessarily academic abstraction, however. Perhaps this is a simple reminder that we need to be connecting with people who think differently than us; whether that shows up in their preferred bibliography, opinions, or overall worldview, nothing but good can come from engaging with difference. Feel free to post your own favorite reads in the comment section, or share you thoughts about one of the titles below if you have already read them. When P.D. 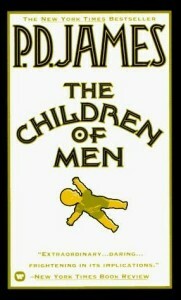 James died this year, I re-read my favourite of her works, The Children of Men. 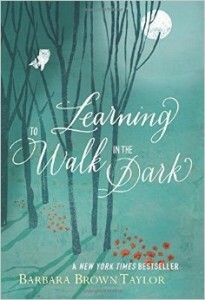 In this, her most theological book, the world is ending not with a bang but a whimper. 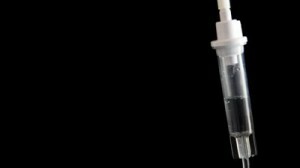 Set in England in 2021, the book portrays a society facing mass infertility. Most of the story is told from the perspective of Theo, a student-less Oxford don who learns, over the course of the book, the true meaning of charity. This is not a nail-biter or an edge-of-your seat adventure novel; rather it is the slow, patient, intimate story of a society that has lost its future. 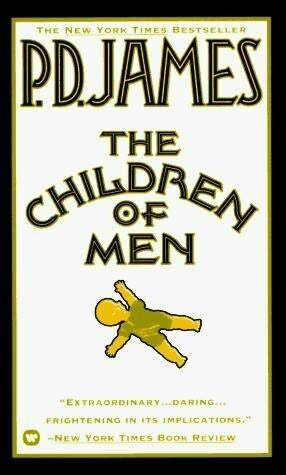 In an interview with Ralph Wood, James said: “When I began The Children of Men, I didn’t set out to write a Christian book. I set out to deal with the idea I had. What would happen to society with the end of the human race? At the end of it, I realized I had written a Christian fable. It was quite a traumatic book to write.” It is a dystopian novel written by a fellow Anglo-Catholic with many theological questions and who doubts humanity’s ability to be good without God… what more could a girl want? It was tough for me to decide on a title I loved most from 2014. I read heavily of Hans Urs von Balthasar, and so much of his work and secondary literature on his thought was helpful for me. But I have to say that Sarah Coakley’s God, Sexuality, and the Self was my favorite book I read in 2014. Coakley critiques some of the developments of early orthodoxy, unveiling a subtle ‘unorthodoxy’ that subordination the Spirit to the rest of the Trinity; what comes bubbling out of her ressourcement of certain patristic texts and exegesis of Romans 8 is an approach to theology that starts with prayer, and challenges some assumed notions we have about God and gender. 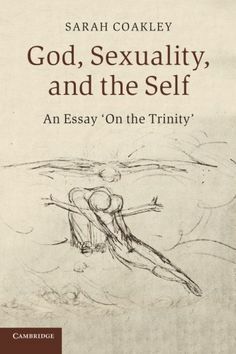 Though gender and sexuality are not topics I usually read heavily on, Coakley convinced of me their relevance in contemporary theological conversation, all the while challenging my conceptions of Trinitarian theology, the analogy of being, and the role of the Holy Spirit in my life. Beautiful, delightfully accessible, and brilliantly written—you should read this book. I am forever challenged by this book. A good work of fiction often does hard theological work that falls flat in its academic form. 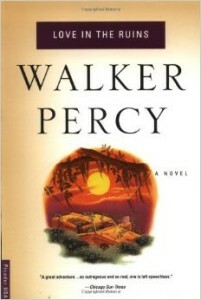 Walker Percy is a master at putting fiction to work in this way. In Love in the Ruins, he explores two forms of the modern abstracted self. 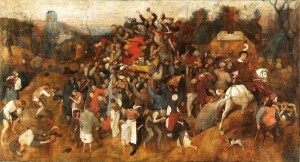 The first is “angelism” where people’s heads are so in the clouds that their feet are no longer on the ground. The “angels” turn out to be demons, having withdrawn from their humanly, bodily existence into a world of abstraction, a stoic cold and a lack of connection with other humans. The second is “bestialism” where humans act like the beasts, following every lust-filled and voracious desire denying their rational abilities. In Love in the Ruins, human-demons and human-beasts run rampant, and sometimes in the same person. As you read this work, Percy’s truth-telling of the condition of modern man and woman is spot-on. This book is one of the most bizarre, insightful, prophetic and delightful works I have ever (and will likely ever) read. In Canon and Creed, Lutheran Ecumenist Robert Jenson writes about the relationship between the canon of Scripture and the Nicene Creed. Spoiler: he argues that neither works without the other. Tracing the history of the formation of both OT and NT canons as well as the Creed, Jenson highlights the close connection between these developments and early church ecclesiology which is inseparable from them. I found this book one of the clearest explanations of why Scripture and Tradition cannot be disentangled from one another. 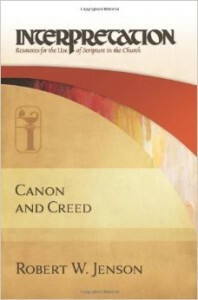 Jenson finishes his book with three sermon-like illustrations of what it means to interpret Scripture with the Creed in mind. I have spent most of the year reading texts concerning St. Maximus the Confessor. I could commend a book on his theology, but few of those are worthwhile reads for non-specialists. 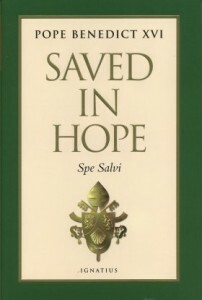 Instead, I will recommend the papal encyclical Spe Salvi (Saved in Hope). 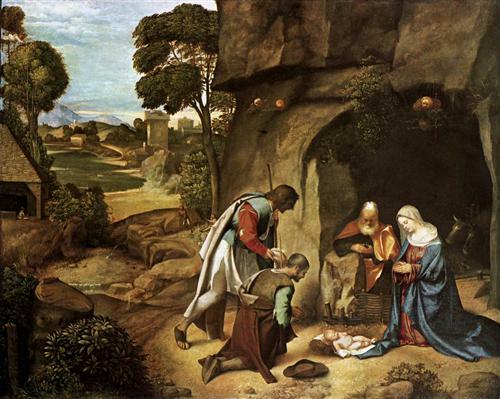 Now in Christmastide, there is perhaps no topic in theology more apt than hope. Faith, hope, and love are the cardinal virtues of the Christian faith, but theologians seem to rarely reflect deeply on hope. At just over 19,000 words, Spe Salvi is not exactly a book, but it is a profound reflection on that virtue, and so one of the best investments in theological reading you could make. In those few words, Pope Benedict VVI commends hope as the virtue that speaks to us of our concrete heavenly future and which, therefore, manifests itself by transforming the quality of our lives so that they are lived for the sake of the world. In contrast to modern self-actualized hope, Christian hope is concrete precisely because of Jesus Christ, and continues to be demonstrated in the lives of the saints, especially in she who points to Christ, the Blessed Virgin Mary. It is birthed in faith, gives life to prayer, brings meaning to suffering, and promises judgment. Such a simple summary, however, can hardly convey the richness and inspiration to be found in this wonderful text. Instead, read it yourself—it is short, freely available, and brimming with the very hope it commends.